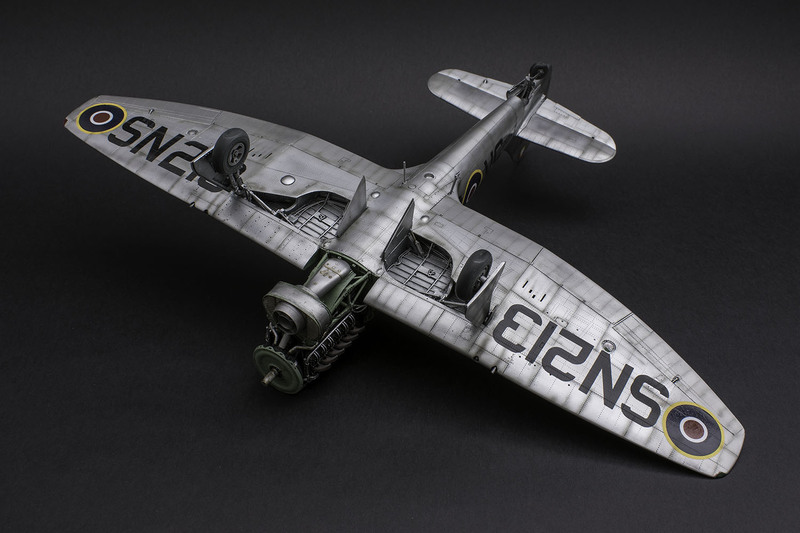 For the exhibition purposes at the Nuremberg Toy Fair, our collaborator Mila Hraban built yet another (his TWELFTH!) 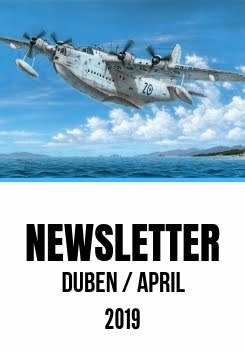 1/32 scale Tempest kit. 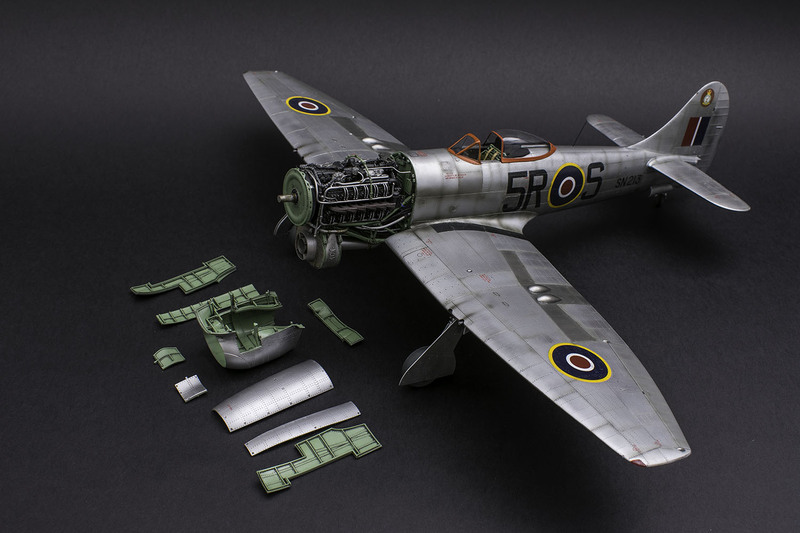 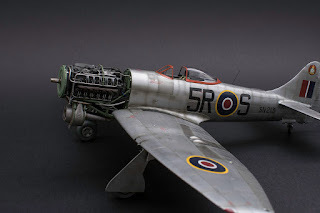 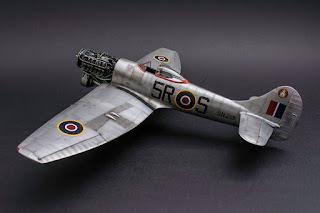 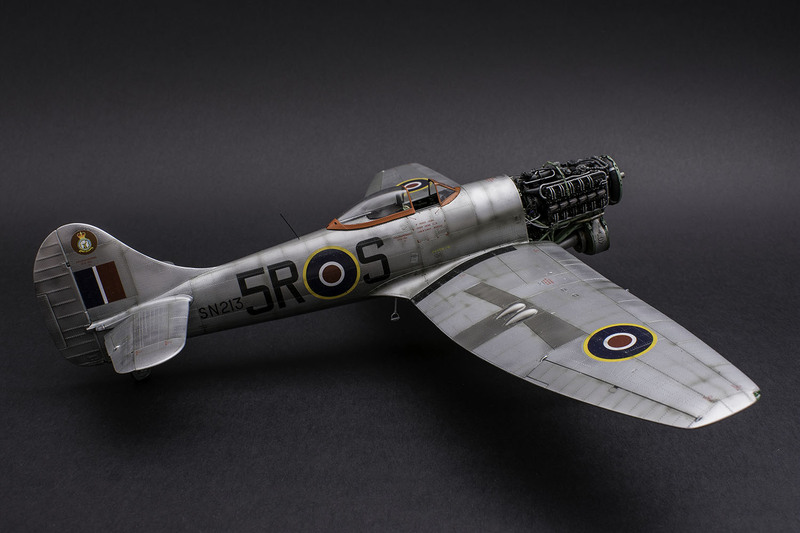 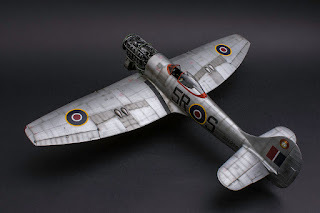 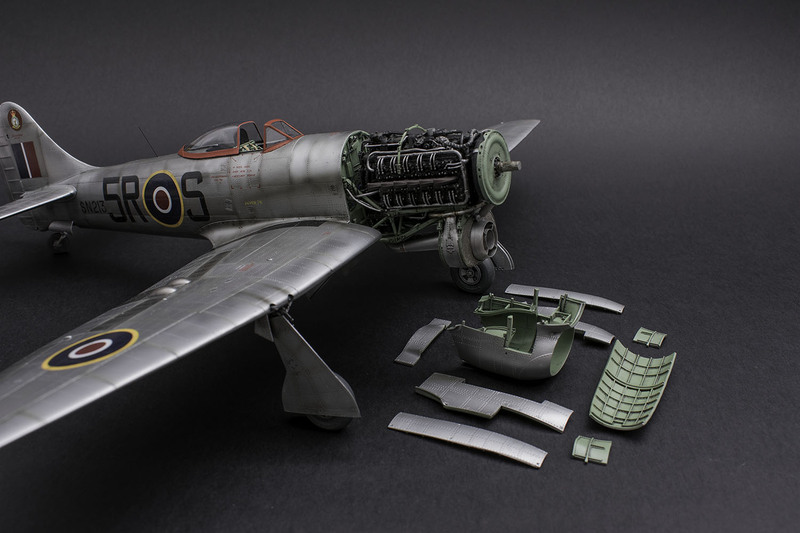 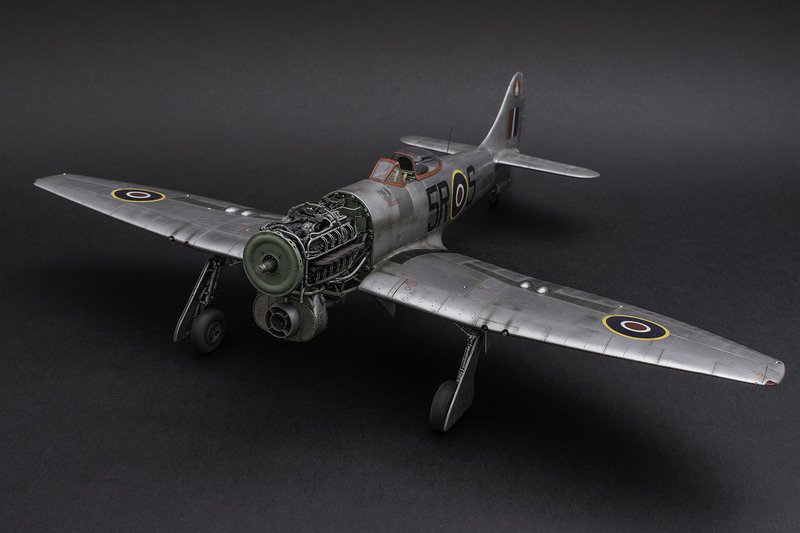 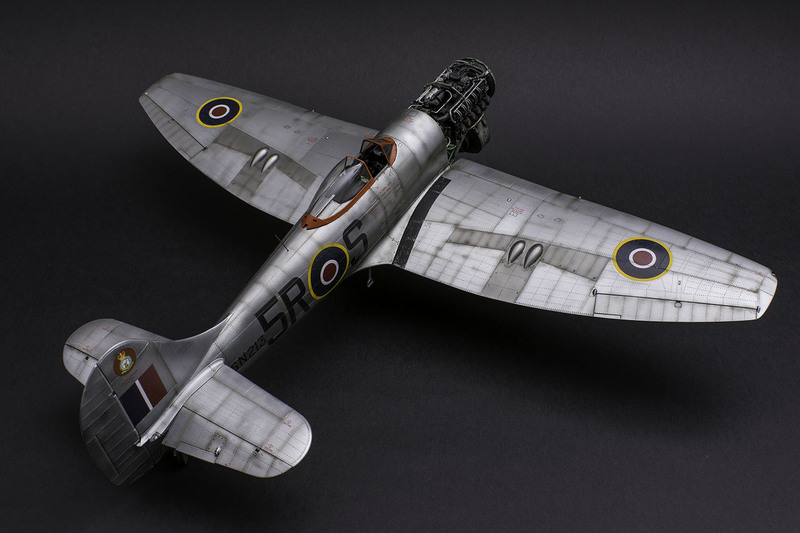 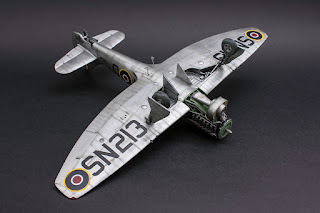 This time, he was not able to resist temptation and turned his model into a real gem using a couple of CMK sets, namely these - CMK 5110 Napier Sabre engine, CMK 5111 engine covers, 5108 Tempest main undercarriage legs and Q32244 Tempest Tail Wheel with strengthened leg. 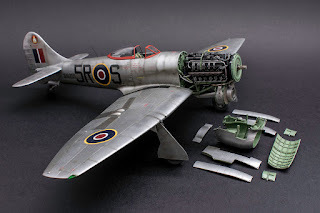 Because of the engine set mass, the usage of the strengthened u/c legs seems to be rather inevitable. Mila accoplished his task exceptionally, and his model portrays one of very few Tempests that flew sans any paint job on them, just in bare material colour.